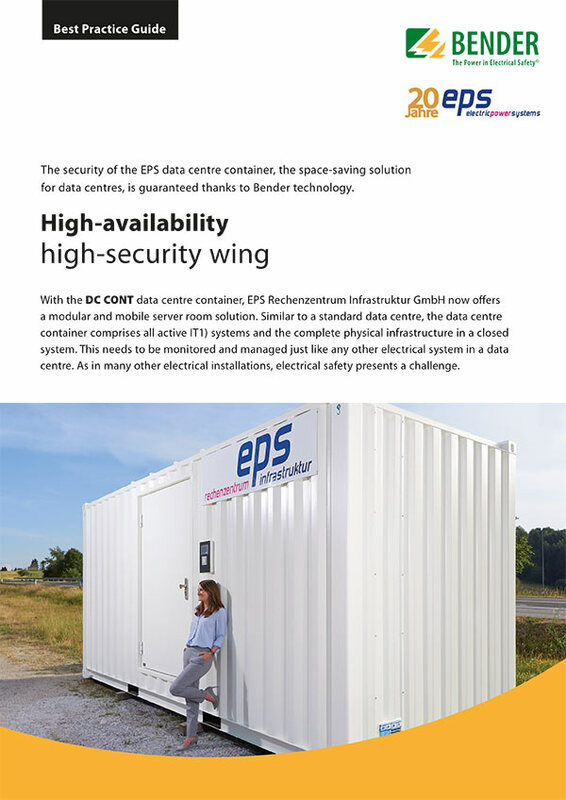 The security of the EPS data centre container, the space-saving solution for data centres, is guaranteed thanks to Bender technology. With the DC CONT data centre container, EPS Rechenzentrum Infrastruktur GmbH now offers a modular and mobile server room solution. Similar to a standard data centre, the data centre container comprises all active IT1) systems and the complete physical infrastructure in a closed system. This needs to be monitored and managed just like any other electrical system in a data centre. As in many other electrical installations, electrical safety presents a challenge.